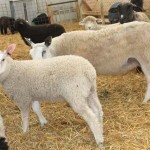 Please note that, with a couple of exceptions, the lambs were photographed with minimal cleanup and fitting, just enough to give viewers a fair look at the animal. 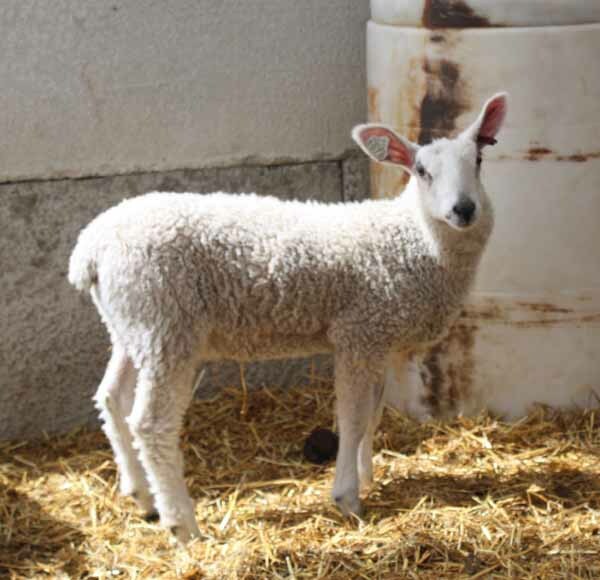 Our lambs are allowed to roam the pasture or shelter in a three-sided shed; they are not confined to a barn or drylot. They consume grain, grass and hay, although the hay is minimal while the pastures are green. 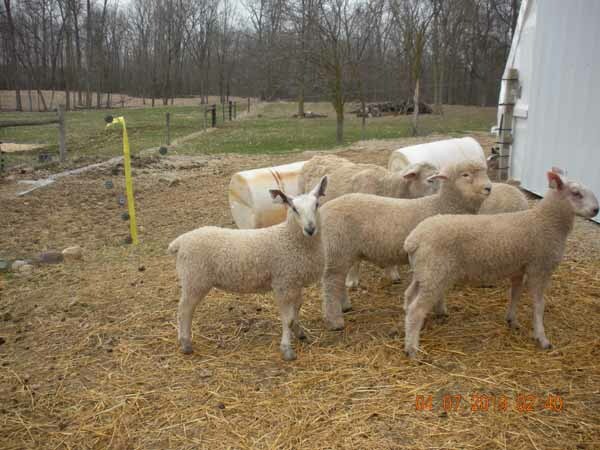 Under most circumstances, our ram lambs have proven capable of breeding in their first season. We are sold out of 2017 lambs at this time. 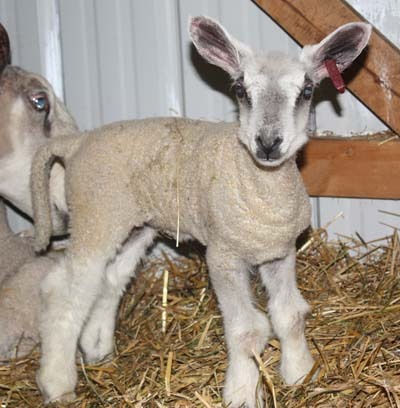 2018 lambs will begin arriving in February. Contact us (email or phone) if you are interested in reserving lambs. 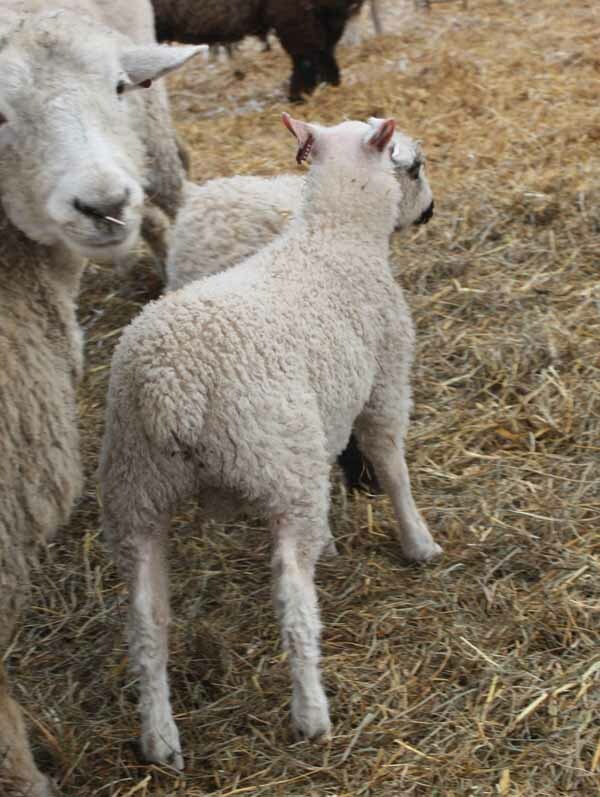 The body and fleece on this ram lab are extraordinary. Both sire and dam have good pigment, so we expect him to darken up over the the summer. 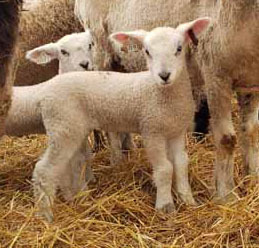 The largest of a square-built set of triplets. Plenty of pigment on sire and dam, so he should darken up if the sun ever returns to Michigan. In the photo below, 1068 is between his mother and brother, 1070. 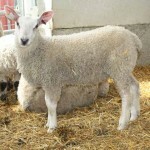 The second ram, third born of a square-built set of triplets. Plenty of pigment on sire and dam, so he should darken up if the sun ever returns to Michigan. 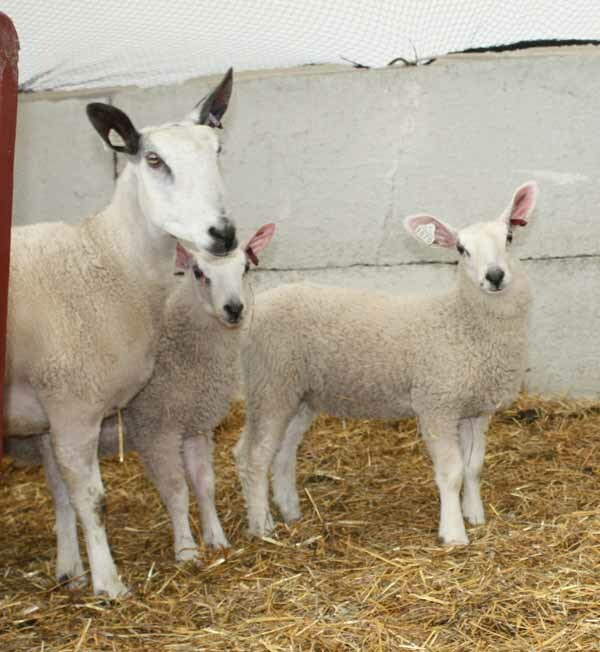 In the photo below, 1070 is to the right of his mother and brother, 1068. 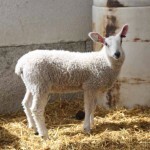 A beautiful crossbred ewe lamb that will produce a gorgeous white fleece, which will have more resilience than BFL and and finer, softer locks than a Romney. 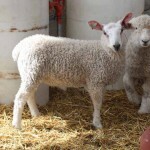 Will be weaned by the end of May.